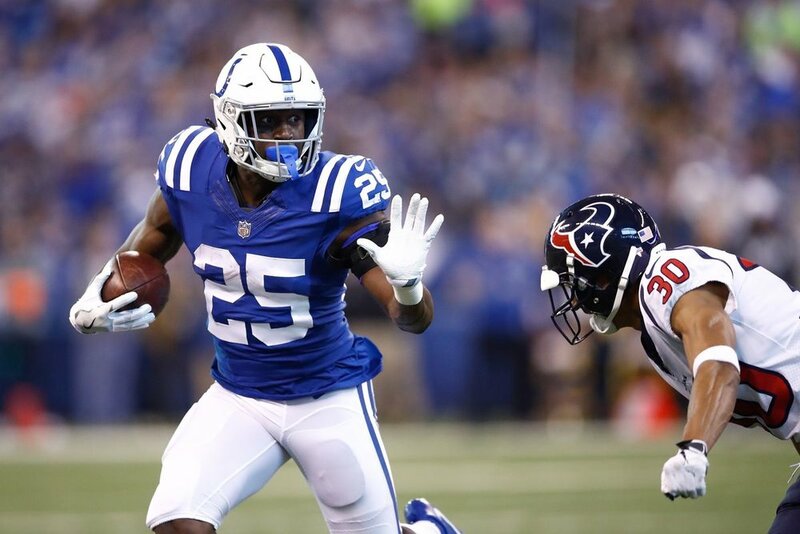 Indianapolis Colts RBs - Stay Away! This is a situation worth avoiding. Marlon Mack is going towards the end of the 6th round, and I think you get just as high a ceiling, and a much higher floor out of RB’s that go in the next couple of rounds, like: Isaiah Crowell and Marshawn Lynch. Mack’s perceived upside is perplexing. He showed very little last year with 3.8 ypc on his way to 350/3. The Colts thought so “highly” of him that they drafted two RB’s in the first 5 rounds of the draft. And while some point to Gore’s departure as the reason for the Colts addressing the position, they’re forgetting that Robert Turbin is going to make this team. Turbin had a dislocated elbow last year that essentially killed his season, and he will miss the first 4 games of this season to PED suspension. Turbin is a fantasy afterthought, but the Colts seem committed to giving him the Frank Gore role from last year, which is essentially just plodding forward for a few yards per carry, 8-10 times per game. The rookies have also seemed to earn roles going forward. Nyhiem Hines is pegged for some third down duties, and is even lining up in the slot in a few practice formations. He has some PPR potential, but the backfield is too crowded to be worth his current 10th round ADP. Jordan Wilkins, a 5th round pick in April, has been getting a lot of buzz lately. He is very much in the running for early down, between the tackles, type of work. I suppose that makes him worth the occasional dart throw in standard leagues, where he’s barely getting drafted. But for the most part, this entire backfield is going to be a nightmare. Frank Reich is the new, highly prized o-coordinator for the Colts, having just won the Super Bowl after out-dueling the Pats. This is notable because Philly’s offense was fantastic last year, and yet the RBs were barely relevant in fantasy. It was a full-blown committee there down to the very last game, when borderline elite-Jay Ajayi had only 9 carries against the Pats, despite averaging 6.3 ypc in the game. Reich has no loyalty to the RBs and will use whoever is ideal for any number of scenarios. And if you think you must chase this backfield because “what if Luck is good again”, remember that the leading rusher for the Colts in 2014, the year Luck was the #1 fantasy QB, was Trent Richardson, who had 519 yards on 3.3 yards per carry. The way I see it is that Mack’s only real fantasy relevance is to get just enough work on all 3 downs to make sure that neither of the rookies break out. And Turbin will score 5 td’s (he had 8 in 2016), just as the cherry on top. This is the easiest backfield to stay away from in the NFL. Why get player X, when you can wait and get player Y? Both of these guys rely more on speed than size. They both flashed a few years ago and have been largely disappointing since. They’re playing for the two most productive fantasy QB’s in the league, and both teams are missing a chunk of targets from last year. It would seem that Cobb and Lockett have a slightly unlikely, but not impossible, chance to really bounce back and take advantage of available targets in a fantasy friendly system they’re comfortable with. With Cobb in and out of practice recovering from a recent foot surgery and Baldwin's injury, I’ll gladly wait the 5 rounds. Both sophomores are on offenses with shaky QB’s and very thick competition for targets. Engram of course had one of the better rookie TE seasons of the decade last year, whereas Howard merely flashed in a couple of games. But Engram’s numbers came mostly after the Giants’ other pass catchers were decimated by injury, and prior to them drafting a pass catching RB 2nd overall. Now competing with Odell Beckham, Sterling Sheppard, and Saquon Barkley for targets, Engram’s targets should come down. As good as Engram’s stats were last year, he graded out as the 2nd slowest tight end in the league, after Antonio Gates. Howard is the much more explosive player and was drafted higher in the 1st round of the 2017 NFL draft. On the Bucs, Howard is competing with Mike Evans, 3 decent complimentary receivers in Adam Humprhries, Desean Jackson, and Chris Goodwin, plus another good tight end in Cameron Brate. Obviously Brate is the single biggest issue for Howard, and the reason he isn’t being drafted rounds earlier. But neither Engram nor Howard have a good situation, so you’re drafting them more on the “talent will prevail” principle. Which makes more sense at the end of the draft. Benjamin is one of those players who almost everyone in your league will write off. He is going in the 11th round after D.J. Moore, Calvin Ridley, Sterling Shepard, and Robert Woods, who is the #3 WR on a Jared Golf-lead, Todd Gurley-first offense. Benjamin has always been inefficient and his numbers last year look awful. But a deep dive shows Benjamin is a good value this year. If you focus only on the 8 games Benjamin played for Carolina last year, he was actually on pace for 64/950/4, which is 7th round fantasy value. Wide receivers have almost no chance to succeed when being traded mid-season, so his games for Buffalo last season shouldn’t be held against him, yet they clearly are in terms of ADP. People may point out that he was playing with one of the better QB’s last year, and will now play with one of the worst this year. But Carolina was 5th worst in passing yards in 17’, and he had to compete with Devin Funchess and Christian McCaffrey for targets. 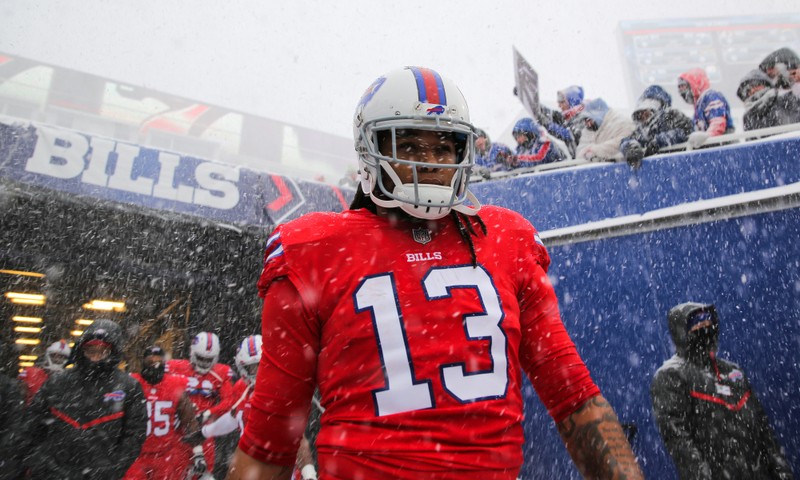 In Buffalo, Benjamin isn’t competing with anyone near that level for targets. And despite being injured and not knowing the playbook, Benjamin received a decent amount of targets down the stretch for Buffalo for the same reason he will this year, there’s nobody else to throw to. Every NFL team, even the Bills, approaches 3,000 yards and 18 passing td’s. I don’t think it’s a stretch for Benjamin to get just about a third of that production. I think he’s a solid WR4 this year, who can be a dependable bye week/injury fill in, and even has a bit of TD upside. AJ put in all 16 last year, but had somewhat disappointing stats, just getting to 1,078/8. It wasn’t his fault, because AJ was routinely blanketed by double coverage, and the Bengals rarely made teams pay with some of the worst complimentary receiver play in the NFL. 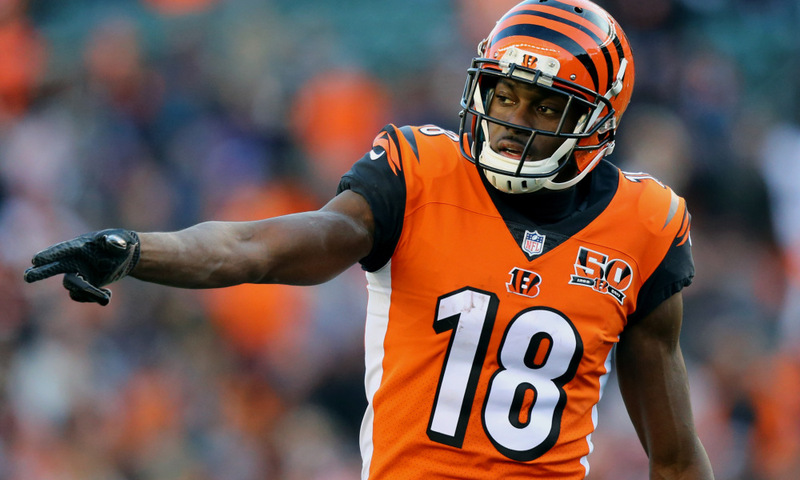 By the end of the season, it seemed like the Bengals had to bring in a dependable, veteran pass catcher to take some heat off of AJ, and to give Dalton another competent target to throw to behind a suspect line. They did not do that. Instead they’re counting on the pass catching trio of: Tyler Eifert, John Ross, and Tyler Boyd to be productive, despite all three of them hardly playing last season. So it’s fair to wonder if AJ’s opportunity this year will be any better than last year. Meanwhile, in his age 30 season, I was curious as to whether HOF WR’s ever saw any significant upticks in production at this age or beyond. The good news is, I found 3 who did. The bad news is, they were Randy Moss in his first year in New England, Isaac Bruce in 2004, and Andree Reed in 1994 – proving that it’s entirely possible for an aging HOF receiver to see an uptick in per game production at 30, as long as they play for one of the best offenses ever. 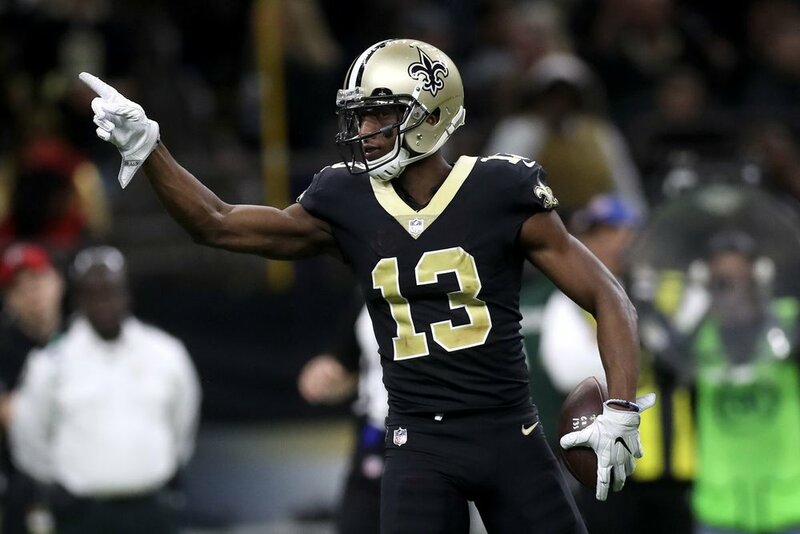 I think AJ showed enough last year not to expect any real downturn in his numbers, and we’ve seen many 30 year old receivers maintain their stats, but we also don’t have much of a reason to expect better. As "bad" as 1,000/8 would be for a second round WR, I do think it’s important to note that his floor is almost as high as his ceiling. So I think AJ is a fine 3rd rounder this year in spite of his lower than normal ceiling, but he’s going in the 2nd round more often than not. It’s been years since Robinson has played at a level that would justify his current ADP. Remember, he was bad in a full 2016 season, and really just had one monster season all the way back when Bortles went off in garbage time in 2015. Now catching passes from a new QB, coming off a major injury, and sure to face #1 CB’s, Robinson has too much to overcome for my liking. Robinson does have a couple of things going for him though. There’s no reason why Robinson wouldn’t see a healthy target volume this year; the Bears won’t be playing with many big leads and he’s the most capable guy. In a year lacking in dependable 1,000 yard options, the case can be made that Robinson’s target volume should get him there. The reality is that Robinson has been mostly inefficient with his targets, WR’s usually struggle early with a new team, and this is probably not going to be a good offense. After being one of the best receivers in the league for 5 years, Jordy completely fell apart last year and had less than 500 yards. Those who didn’t watch him play might be willing to write off that disaster because the Packers didn’t have a competent QB for 9 games. 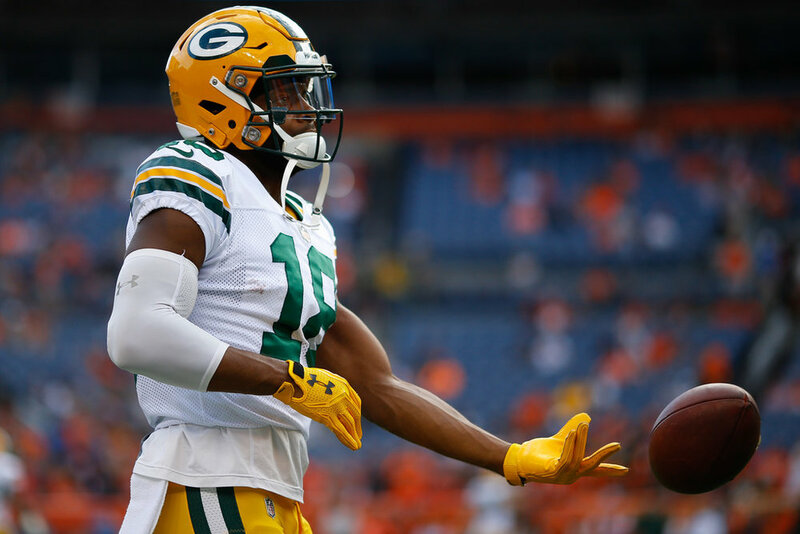 Those who did watch him play understand that Jordy probably had the weakest burst of any WR in the NFL, and that he was terrible in the 7 games that Aaron Rodgers did play. What made Jordy great was that he ran some of the highest precision deep routes in the NFL, and had a ridiculous chemistry with the best QB in the league. He doesn’t have those elements working for him anymore. I think we’re looking at a Titans Eric Decker-like 50/550 from Jordy this year, making him one of the worst values in PPR this season. He’s being drafted later in standard and has a reasonable chance to score 5-6 td’s with Crabtree’s red zone targets (8 td’s in back-to-back seasons) up for grabs. Still, it would be madness not to take someone with more upside where he’s going. When to Draft Rookie WRs? The rule that had always served me well was: Don’t waste your time with Rookie WR’s in the draft; just be willing to scoop them off waivers late in the season. But it appeared that things might have changed in 2014, when Beckham, Evans, Sammy Watkins, Benjamin, Brandin Cooks, Jordan Matthews, and ARob were all very fantasy relevant and destroyed their ADP rankings. Since then, people haven’t been as reluctant to target rookie WR’s, and that...has been a mistake. In the three years since the 2014 aberration, there’s only been one rookie WR per season to put up starter level production. In 2015, it was Cooper who cracked 1,000/6. In 2016 Michael Thomas cracked 1100/9. And last year JuJu Smith-Schuster had 900/7. Relative to their draft ADP, you can essentially remove Cooper, who people forget was one of the highest drafted WR’s of the decade, going in the 4th round. He was about par that season for his draft spot. And JuJu went undrafted, so nobody struck gold with him in the draft. That leaves only one rookie WR in the past 3 seasons who was drafted and really outperformed ADP, MT in 2016, who was an 11th round pick. You have to adjust accordingly. I see people reaching for Moore and Ridley in the 9th round, when neither of those guys is even in a great spot. No WR has capitalized on playing opposite Julio, as he continues to monopolize the targets there. And in Carolina, Funchess, Olsen, and McCaffrey will all get decent target totals for a team that doesn’t throw for a lot of yards to begin with. 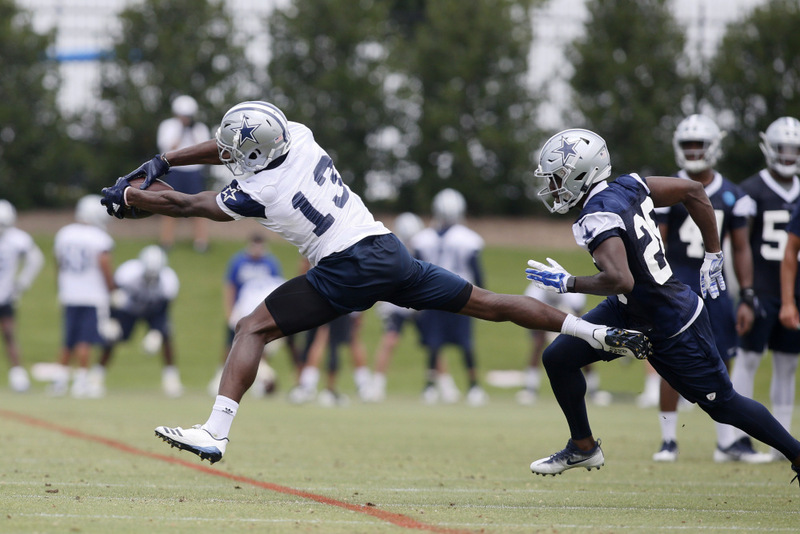 The only rookie WRs I’m looking at are available much later in drafts: Michael Gallup and Anthony Miller. Their situations are much better and you get them later, making them worth a look. Follow our YouTube for daily content! Join our private chat and gain access to premium content!